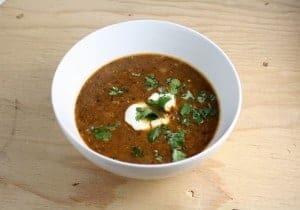 This spicy black bean soup is perfect to help heat you up after a cold day. It’s simple to make and it is full of vitamins and nutrients to help keep you healthy. More delicious soup recipes can be found at BlenderRecipes.us.